The June 15 verdict, which followed a month-long trial in Los Angeles County Superior Court, was returned against the Los Angeles firm; name partner Frank Hobbs, who has since retired; and shareholder Geoffrey Gold, former head of the firm’s litigation department. “We will be seeking punitive damages of two to three times the actual damages of $10 million because they went forward … with an action that had no basis without telling their client,” Howarth said. “That’s a common problem today, where lawyers think they’re in business for themselves instead of being in business for their client.”Davidoff said the firm planned to file post-trial motions to review the jury’s decision and, if that fails, would appeal the verdict. via Law.com – Rutter, Hobbs & Davidoff Hit With $10 Million Malpractice Verdict. The National Transportation Safety Board has launched a Go-Team to investigate the collision between an Amtrak passenger train and a vehicle at a grade crossing on a rural highway in Nevada. The Amtrak train was traveling from Chicago to Emeryville, Calif., when it was stuck by a truck at about 11:25 a.m. PT today. Numerous fatalities and multiple injuries have been reported. Robert Accetta will serve as Investigator-in-Charge for the team. Member Earl Weener is accompanying the team and will serve as principal spokesman during the on-scene phase of the investigation. via Press Release [DATE] – NTSB – National Transportation Safety Board. A Mokena man has died after a hit-and-run crash Saturday evening at Route 30 and Brookwood Drive in south suburban Olympia Fields. 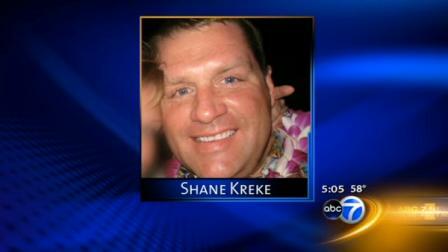 Relatives say 37-year-old Shane Kreke was riding his motorcycle home after a catering job when he was struck by a car. He died Tuesday from his injuries. The family said they hoped the driver’s conscience would lead him or her to go to police. via Mokena man dies after hit-and-run in Olympia Fields | abc7chicago.com. Premiering June 27 on HBO at 9:00 PM. I recommend all of my clients and some of my colleagues who, amazingly and incredibly, still believe that the McDonald’s case was an aberration or an example of abused Justice. Yes–indeed, I have heard Plaintiff’s attorneys refer to the McDonald’s case as something it should not have happened! Please watch this program. It goes beyond the McDonald’s case. It illustrate the sustained and powerful attack on the Justice system and the attempt, in fact the successful attempt, at preventing the public and the consumer from using the Courts to level the playing field between them and the powerful corporations that control our lives. The Chicago personal injury attorneys at Taradji Law Offices have represented many cases in which bicycle riders have been injured because of vehicles and/or objects have cone into their path while ridding on and inside the bicycle paths provided by the City of Chicago. In one such case, our client was riding his bike inside the bike lane and a motorist simply opened his car door on the driver’s side in front and into the path of our client. This caused a collision between the bike and door resulting in our client to be thrown upward and over the door, doing a somersault, and while in the air, the bike turned caused broken hip bones to our client who then hit the pavement with great force. Being “doored” is one of the most common bicycle personal injuries which occurs in the City of Chicago. “So, it was with great interest that we read news about the protected bike lanes the City of Chicago has decided to implement-albeit on a limited and experimental fashion. Our Chicago personal injury attorneys believe that to be a step in the right direction to protect both bikers and drivers from finding themselves in a collision course. Chicago’s first protected bicycle lane, separating bike riders from vehicles, will be installed on a short section of Kinzie Street, according to Ald. Brendan Reilly. Reilly’s 42nd Ward newsletter released on Friday said the special type of bike lane, called a cycle track, will be tested on Kinzie between Milwaukee Avenue and Wells Street, a half-mile stretch that is used by many cyclists who commute in the central area. Cycle tracks separate bicyclists from motor vehicle traffic typically by using a divider such as a construction barrier, a concrete planter box or a raised median placed to the left of the bikes-only lane. For this pilot project, flexible posts will be installed. A sidewalk may exist to the right of the cycle track, but all motorized vehicles, whether moving or parked, are to the left of the barricade. The Chicago Department of Transportation received a $3.2 million federal grant to build and test a cycle track. CDOT had initially planned to install the track on Stony Island Avenue, between 69th and 77th Streets. But the location, chosen mainly because Stony Island has abundant lane capacity, was dropped from consideration because too few bicyclists use the corridor, officials said. via Chicago’s first protected bicycle lane, separating bike riders from vehicles, will be installed on a short section of Kinzie Street – chicagotribune.com. Anytime a Chicago dog bites or causes injury to another person, whether it is the first time or not, the owner may be liable for the Chicago dog bite injuries caused by his or her dog. Illinois has strict laws regarding the responsibilities dog owners have to others. For one, a Chicago dog owner for example, has to make sure that his dog is current on all required and necessary vaccination. Further, dog owners can be held liable for their animals biting, mauling or otherwise causing personal injuries or property damage. So long as the dog bite injuries are not the result of provocation of the dog by the victim, it is likely that the owner may be held liable for all the Chicago personal injuries due to the dog bite. “A west suburban man is facing criminal charges after his dog bit the mailman, the Kendall County sheriff’s office said. Patrick Sondgeroth, 47, told police he was delivering mail about 12:30 p.m. Tuesday when he was bitten by a dog on Springdale Street in Montgomery. Sondgeroth needed several stitches to close the wound, police said. via Man charged after dog bites mailman – Chicago Sun-Times. I was surfing the Internet in search of good ideas to blog about and came across this great article about how to accept you were wrong and take responsibility for its consequences. Incidentally, this also reminded me of a blog I posted some time ago about how many medical malpractice lawsuits could have been avoided if only the doctor would have simply accepted he was wrong and apologized. Taking responsibility is what litigation is all about. If a person fails to accept responsibility for his or her mistakes either because of a genuine belief that he was not wrong or either because of a personal failure, litigation is there to make matters right for the victim and those who have been damaged. In the article below, the author discusses the steps a person can take after he or she has become aware of his or her mistake. Be straight forward. Directly and honestly, acknowledge the error. Say what you did and how much you regret it. In lawsuits, the defendant usually admits liability before trial and then wants to exclude it was done at the last minute. I think we should be allowed to show it was at the last minute, but whatever the situation we should emphasize this. In jury selection and opening note that there is no question who is at fault. In cross examination I’d ask the appropriate witness if they admit they were totally at fault and negligent. Resist the urge to blame someone else. Don’t point fingers or make excuses because doing that only makes it sound like you care more about getting out of the trouble you caused. In lawsuits, this is the one area the defendant always fails to deal with properly. They want the jury to give them credit for acknowledging they were negligent, but they don’t want to accept the responsibility because that would require paying for the harm they did. Instead, the hide behind the admission of fault and claim they don’t really owe much for the harm. They will blame anyone and everything for harm except their own actions. I think we should high light that fact. They ask for praise for admitting fault so obvious they had little choice and then won’t accept the consequences. These two little words I’m sorry-by the person who has suffered. “Please forgive me” is nice too. Be up front and tell them how sorry you are. In a lawsuit, a defendant who admits liability has acknowledged they are at fault, but by their denial of the harm caused really are not sorry at all. I talk about this. Were there any phone calls, cards, visits to the injured person to say they were sorry? If the defendant admits they were negligent, isn’t the normal thing we do when we are wrong is to say we are sorry? ﻿In most cases, you can think of a way to make amends. If you have broken, lost or otherwise damaged property, you should offer to pay for it. In lawsuits, this is the glaring omission of the defendant to admits fault. We should note that when we damage something through our fault the normal response is to offer to pay for it. When you knock the vase over in the shop you are visiting and break it, you don’t offer to pay a small percentage of the marked sales price. That’s not right nor fair nor honest. When a defendant causes harm they admit they caused, they should step up and pay the full price for the harm they did and not work at finding ways of avoiding doing the right thing. The deeper the hurt, the more difficult it is for the person to let go of it. Don’t force and immediate response. In lawsuits, the admission of fault is usually close to trial and only after there has been a denial of fault, discovery and other delays. The plaintiff is put through a period of uncertainty. The honest way to proceed is to admit one is wrong early on and then discuss appropriate remedies. via Plaintiff Trial Lawyer Tips. Although the information in the article below appears to be axiomatic, too many people, including judges fail to realize that information regarding drugs, prescription or otherwise, is very relevant to establish whether a defendant was negligent in the operation of his or her motor vehicle at the time he or she was involved in a Chicago personal injury event. On more than one occasion arguments have to be laid down, briefs written and then oral argument has to be held in court to show a judge that the information is important and relevant to the issues at hand. It is estimated that by 2030 over 70 million Americans will be over age 65. This age group has a higher rate of fatality and injury in motor vehicle crashes per mile driven than any other age group except for teenagers. Many age-related factors are known to impair driving ability, including age-related decrements in cognitive and physical functioning, increased prevalence of medical conditions or age-related medical conditions, and increased use of multiple medications. Researchers at the Center for Injury Sciences at the University of Alabama at Birmingham UAB have found that many drivers, especially older drivers, are unaware that their prescription drugs can impact their driving performance. Only 28% of the 630 drivers aged 56 to 93 survey reported receiving a warning from a health-care professional about potential driver-impairing PDI medications. To qualify as a PDI medication, the medication has to be associated with known effects on the central nervous system, blood sugar levels, blood pressure, vision, or otherwise have the potential to interfere with driving skills. Possible PDI effects include sedation, hypoglycemia, blurred vision, hypotension, dizziness, fainting syncope, and loss of coordination ataxia. PDIs include medications such as ACE inhibitors, antidepressants, sedatives and beta-blockers. via Prescription Drugs May Impact Driving Performance.